It looks like we're quickly learning more about Google's upcoming flagship smartphone. After a description of the phone and a leak of a screen protector, we've now moved on to apparent prototypes of the Pixel 3 XL. 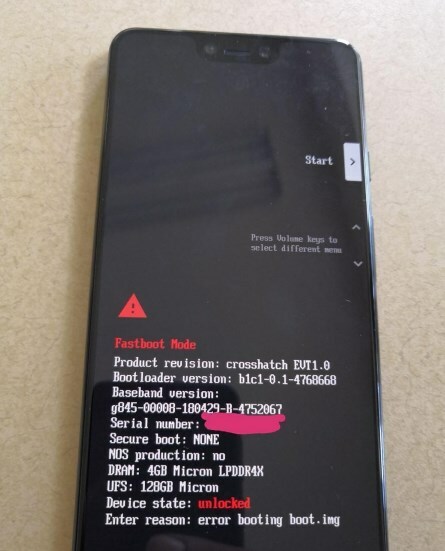 XDA Developers is showing off pictures of a device that lines up exactly with previous reports. The prototype has a very large display notch housing an earpiece and two front-facing cameras. There's a chin at the bottom, and between the chin and the notch there are two front facing speakers. The notch looks much taller than what's on the iPhone X, OnePlus 6, or LG G7. For an idea of just how long it is, OnLeaks shared a set of measurements for the Pixel 3 XL, which shows an 8.1mm-tall notch. A typical Android status bar is about 4mm high, so the notch on this phone would stretch out the status bar to make it double-height, just like on the Essential Phone. Keep in mind that this design is allegedly just for the Pixel 3 XL. The smaller Pixel 2 uses a symmetrical bezel design. For the first time, we also get to see the back of the phone. It looks a lot like the existing Pixel 2, with a single camera, rear fingerprint reader, and a two-tone design. The major change this year will be switching from metal to glass, which XDA confirmed with the leaker that took the photos. The Pixel 2 was one of the last phones with a metal back, and now it will be just another fragile smartphone. There's no word on if this means wireless charging is coming, but it's now possible. Also on the phone's back is a mysterious circular logo that has been used on Google prototypes in the past. Thanks to a photograph of the bootloader, we get to learn a bit more about the device. The phone is codenamed "Crosshatch," which lines up with Google's motif of using fish codenames for its devices. This prototype has 4GB of RAM and 128GB of storage. In the leak, the device is photographed from every angle, so we get to see the usual power and volume buttons, along with a bottom-mounted USB-C-port and a rare bottom-mounted SIM tray. There's no headphone jack on the prototype. 0 Response to "Google Pixel 3 XL prototype shows an all-glass back, giant display notch"